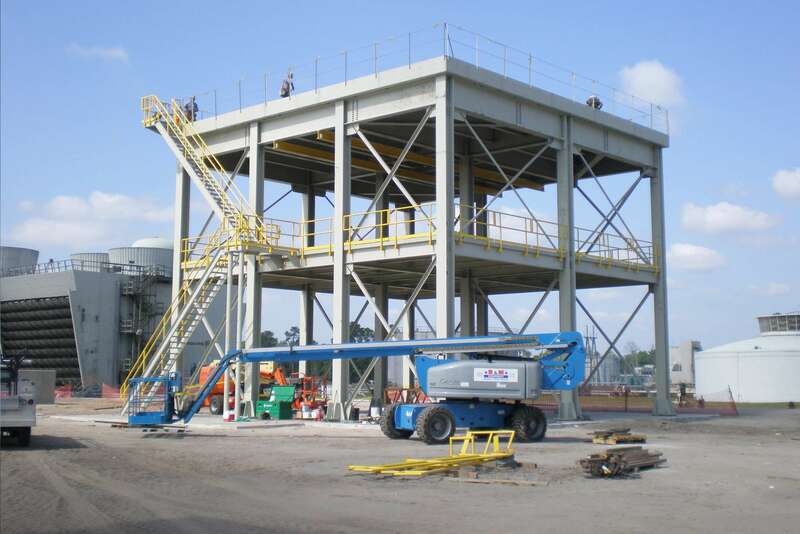 Our facilities include state-of-the-art equipment for burning, bending and rolling of both carbon steel and stainless steel materials. TC is the leading designer, manufacturer and installer for support steel for all storage tank applications. 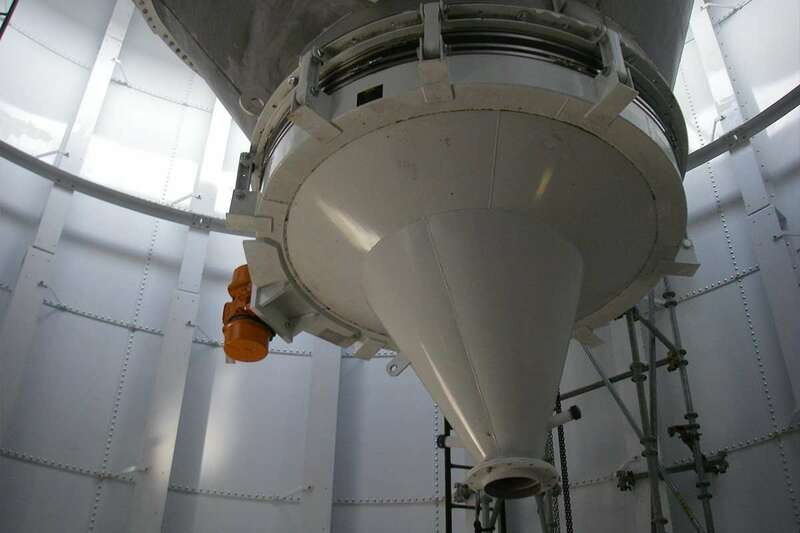 Our pebble lime silo included multiple interior equipment levels, stairs, platforms, entryways, and extensive shell penetrations for customer piping and equipment. 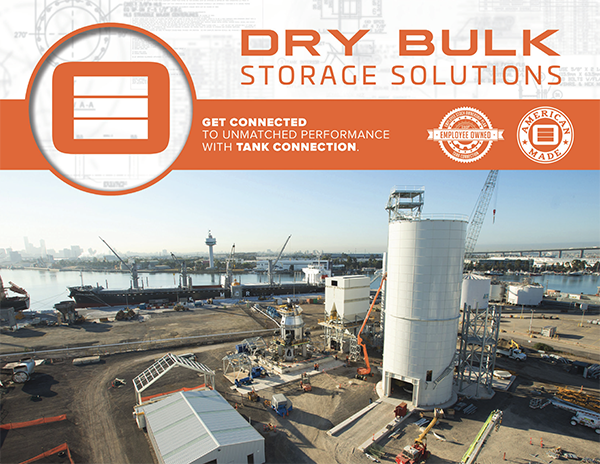 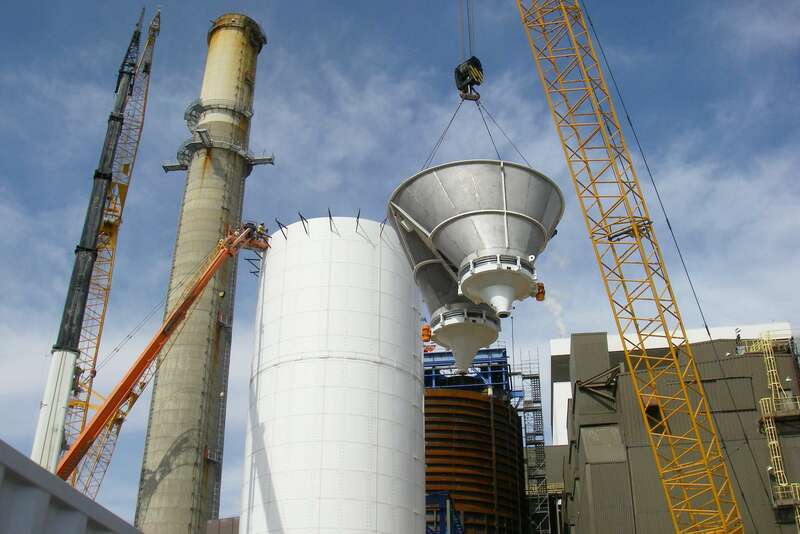 Neal Station Environmental Partners required a pebble lime silo, recycle ash silo and two welded well water tanks for their scrubber and baghouse project located in Salix, Iowa at a power facility. 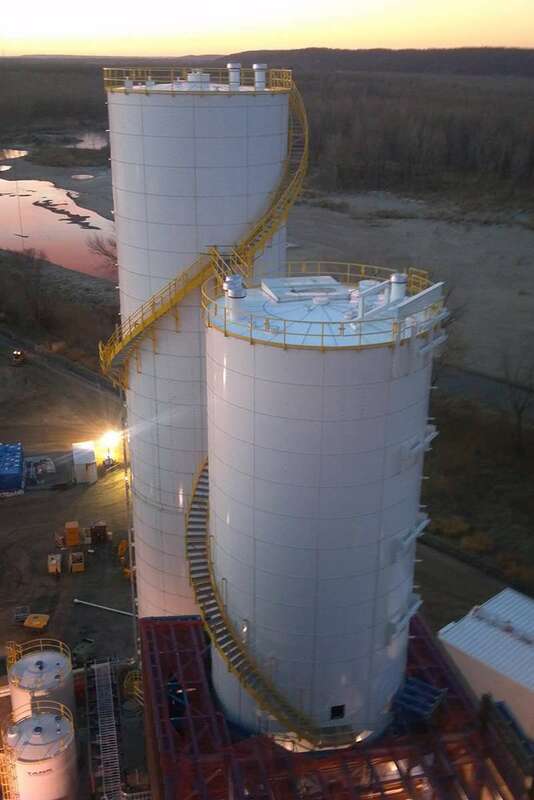 Tank Connection did an extensive general arrangement drawing process prior to the start of fabrication on the silos. Once in the field, Tank Connection modified its installation approach to accommodate NSEP’s equipment installation requirements. 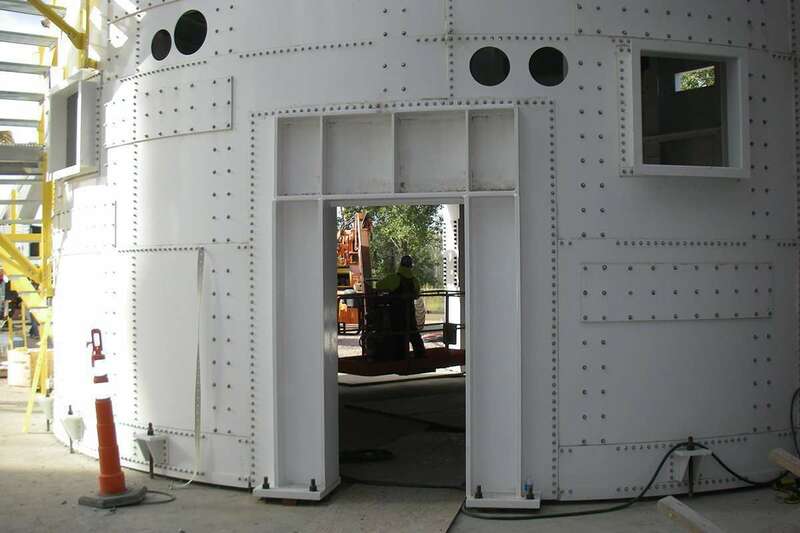 A unique stainless steel “pantleg” design was used on the pebble lime silo’s transition combined with a partially bolted hopper design. 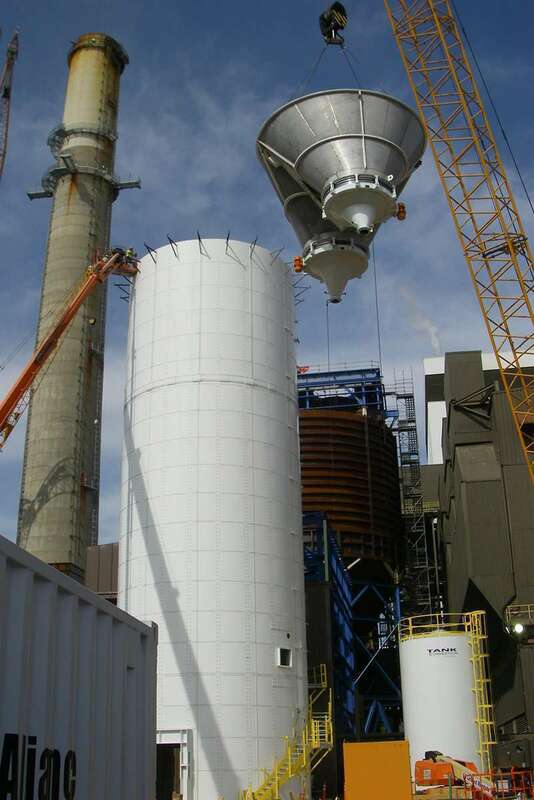 Our pebble lime silo included multiple interior equipment levels, stairs, platforms, entryways, and extensive shell penetrations for customer piping and equipment. 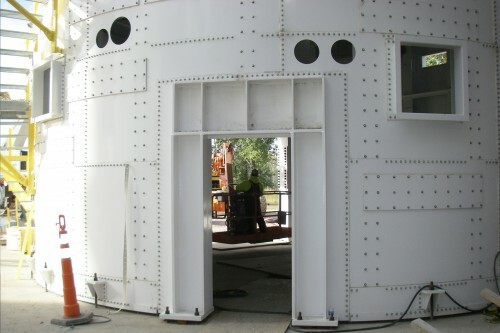 The recycle ash silo utilized a flat bottom design with entryways, spiral stairs, and crossovers. 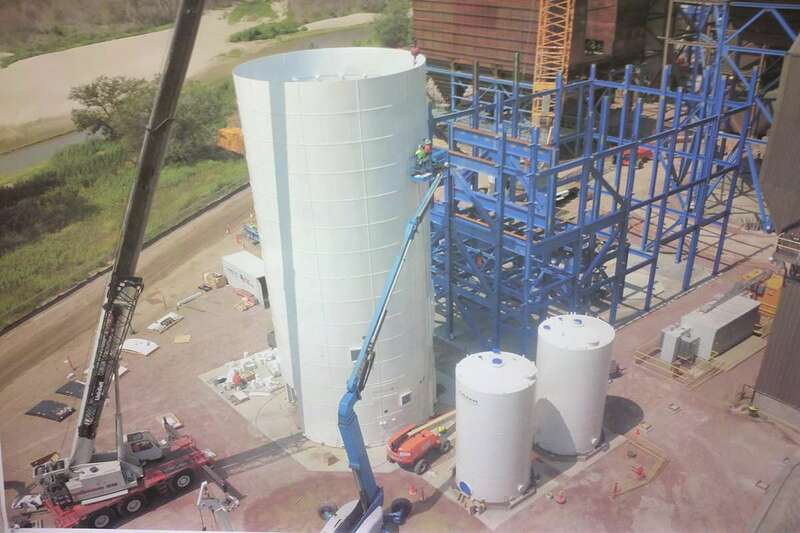 In addition to the supply and installation of silos, Tank Connection inspected an existing field welded ash silo, and designed and supplied structural steel for repurposing the silo. 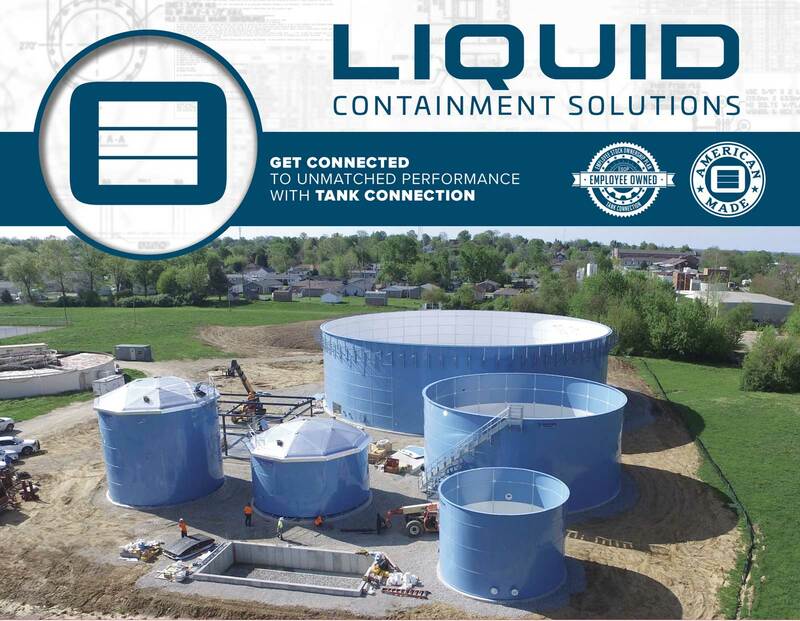 Tank Connection was selected based upon their proven design and performance in the field.